Angels Watchin’ Over Me / Trad. Broke Down And Hungry features mostly original material with Dan Stevens' performance augmented by harmonica, keyboard, drums, bass and gospel style backup vocals in various combinations. The CD contains special appearances by harmonica virtuoso Sugar Ray Norcia (Roomful of Blues and Sugar Ray and the Bluetones) as well as Marty Richards and Marty Ballou (Duke Robillard's rhythm section). Drinkin' Muddy Water / Trad. 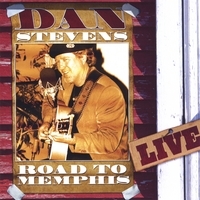 Road to Memphis is a live, solo cd recorded before a live concert audience in January 2005 at the Church House in Haddam CT. 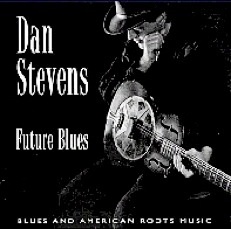 The CD is packed full of lots of fingerstyle blues emanating from the depths of the delta and careening through the New York centered folk/blues revival to the present. Spirit, presence and originality married to a reverence for authenticity of style. My first effort is rockin' with a combination of solo, duo, and band arrangements. Sugar Ray Norcia is featured on harmonica and vocals.